Strickler through a slider on Stremme. It worked, in the aspect that he cleared him and took over 2nd place. But, that was short lived. Stremme cut under him on corner exit. He just barely cleared as Stremme’s front bumper slid under the fuel cell and clipped the left rear fender. He pulled along side, even on exit. Still good racing at this point. But, this is when it all went wrong. Stremme didn’t leave a lot of room at the top for Strickler. It’s unclear if he still wanted his right rear in the moister, refusing to forfeit the top. Though, that’s what it looked like. 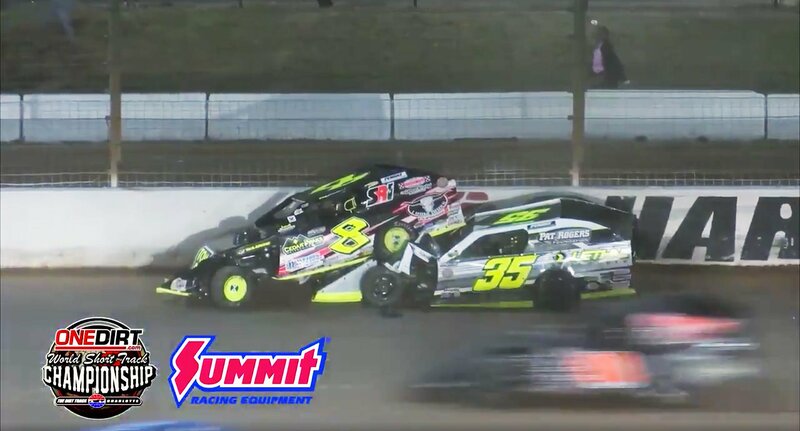 With no room between then, the two dirt modified drivers made contact. Right front to left front, Strickler went airborne and into the wall. He then bounced off the wall and back into Stremme. The two cars came to a rest down the back straight. Stickler’s car was parked on top of Stremme’s. 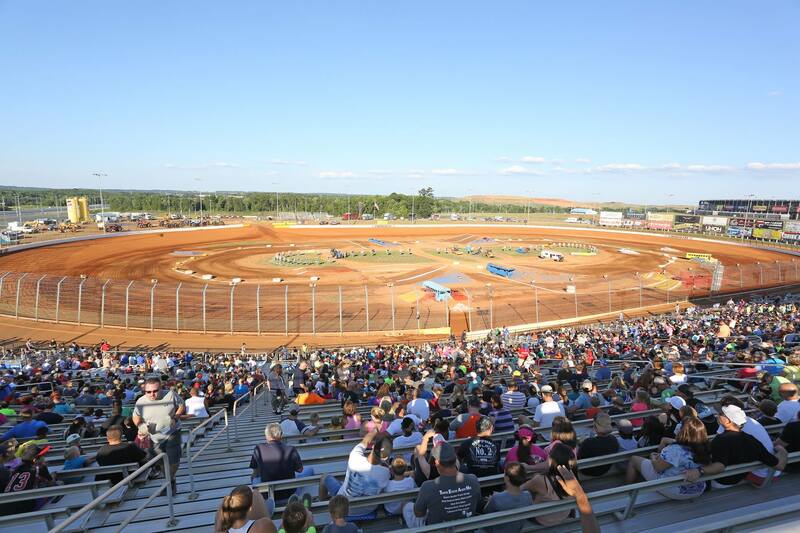 He climbed from the car, ran toward Stremme and began throwing punches through the driver’s window. A one sided fight. “Pretty obvious someone wasn’t happy about getting beat in the big show and passed in the All Star Race #LethalWeapon,” Strickler took to twitter. David Stremme is the owner of Lethal Chassis. Hence the LethalWeapon comment. Penalties have yet to be announced. Tonight was the final night of racing for the WSTC. New dirt sanction/series in the works?